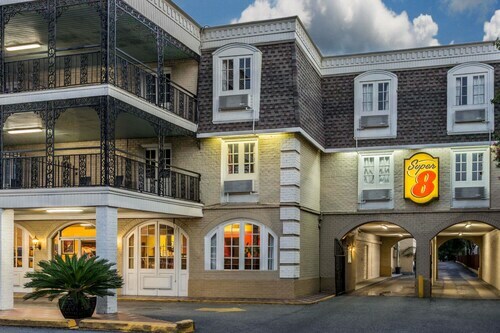 This French Quarter hotel is located on a quiet residential street just 2 blocks from Bourbon Street and within walking distance to Jackson Square, the French Market, and many famous New Orleans attractions. Built in 1931, this four-story New Orleans business-district hotel is 2 blocks from the French Quarter and just 0.5 mile from the coffee and beignets of the historic Café Du Monde. 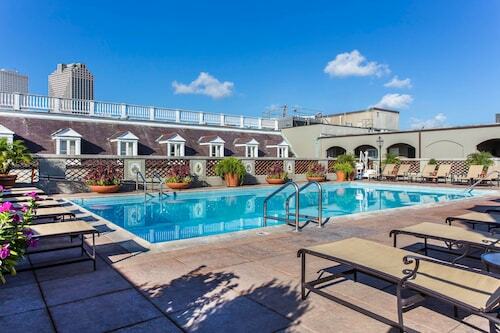 This elegant 14-story, New Orleans hotel is on the corner of lively Bourbon St and shopping-oriented Canal St adjacent to the French Quarter; Jackson Square is 4 blocks from this hotel. 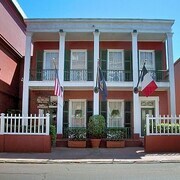 Located in Lower Garden District, this hotel is within a 15-minute walk of Magazine Street and National World War II Museum. Ernest N. Morial Convention Center and Mardi Gras World are also within 1 mi (2 km). New Orleans Union Passenger Terminal is 16 minutes by foot. 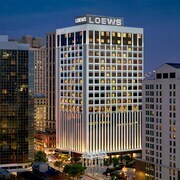 The 10-story New Orleans hotel is within easy reach of the Ogden Museum of Southern Art, the National World War II Museum and the Mercedes-Benz Superdome. The hotel is within 7 blocks of the convention center and Canal Place. 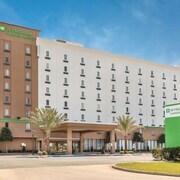 Located in Central City, this motel is within 2 mi (3 km) of Xavier University of New Orleans, Canal Street, and Mercedes-Benz Superdome. Tulane University and Smoothie King Center are also within 3 mi (5 km). 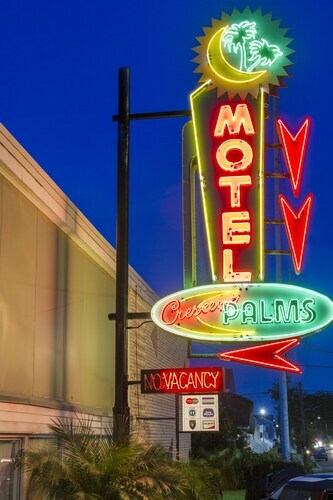 Located in New Orleans East Area, this motel is 2.9 mi (4.7 km) from Frenchmen Street and 3.1 mi (5 km) from Southern University at New Orleans. Bourbon Street and Fair Grounds Race Course are also within 6 mi (10 km). 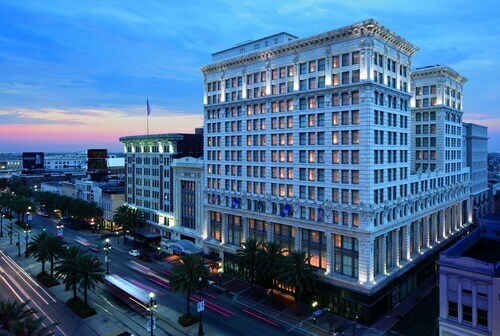 This historic Beaux Arts hotel in the heart of downtown New Orleans is .6 mi away from both the Mercedes-Benz Superdome, and the Ernest N. Morial Convention Center, and 1.1 miles from the French Quarter. This family-friendly New Orleans hotel is located in the entertainment district, just steps from Saenger Theatre and Canal Street. This 14-story hotel is adjacent to the French Quarter's Canal Street Streetcar Line, 1 block from Bourbon Street, 8 blocks from Harrah's New Orleans Casino, and 1 mile from the Louisiana Superdome. 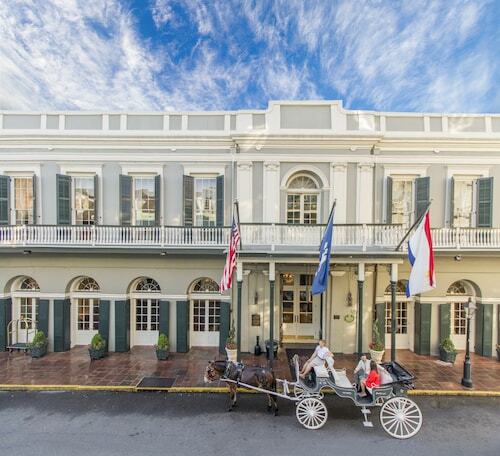 Omni Royal Orleans Hotel is in the center of the vibrant French Quarter, a 5-minute walk from the banks of the Mississippi. The bars of Bourbon Street, jazz at Preservation Hall, and St. Louis Cathedral are but minutes away, and some of New Orleans’ finest Creole restaurants are within a few blocks. How Much is a Hotel Room in New Orleans? 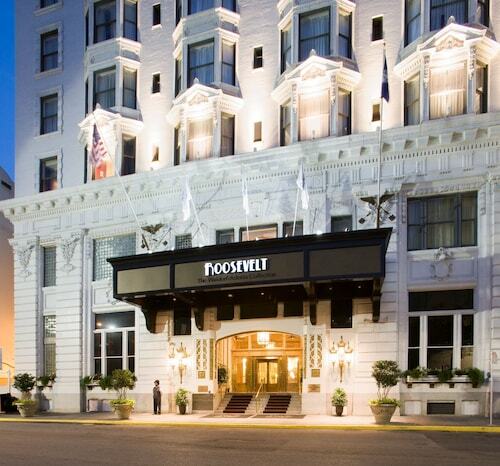 Hotels in New Orleans start at $59 per night. Prices and availability subject to change. Additional terms may apply. Some destinations are unlike anything you’ve witnessed in your treks around the world. These cities stand alone in your mind for their architecture, history, and way their streets come to life in celebration. New Orleans is one such city. Wander among gothic walkups edged in intricate wrought iron balconies and daring widow’s walks. Join the extravagant Carnival parades on Mardi Gras, and sway to the music of the New Orleans Jazz & Heritage Festival. Dip your spoon into a rich fusion of flavors from spicy Cajun and savory Creole to the sweet confectionary sugar sprinkled over the tops of delectable beignets fresh from the fryer. But most of all, traveler, feel the enchantment that floats around every turn in the Big Easy. 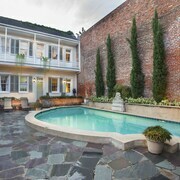 Where are the best places to stay in New Orleans? 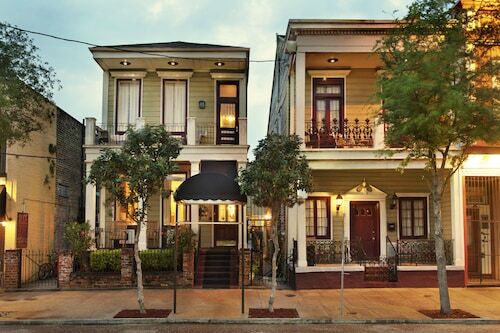 Knowing where to stay in New Orleans all depends on what brings you to town. 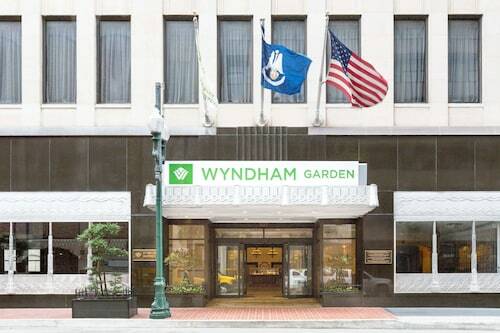 You might need a place close to the Mardi Gras mayhem, a hotel in the French Quarter where you can engage in the nightlife, or a downtown New Orleans hotel convenient to Spanish Plaza, Audubon Butterfly Garden and Insectarium, and other central attractions. Uptown: While parades are held throughout the city, the bulk of the Mardi Gras celebrations take place in the Uptown neighborhood. A stone’s throw from downtown, the 19th-century homes and unique boutiques will have you convinced you’ve stepped back in time. 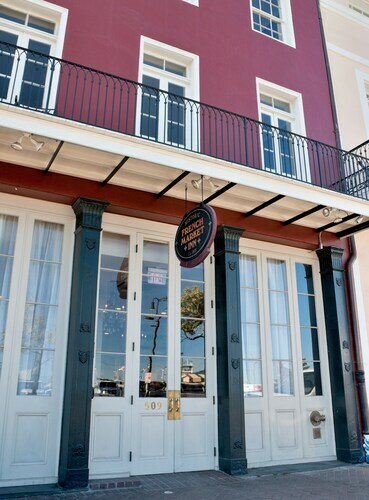 Stay close to St. Charles Avenue and Freret Street, which includes independent shops, gourmet bistros and craft bars, as well as art galleries. Garden District: One of the more popular, refined, and quiet neighborhoods in the city is the Garden District, adjacent Uptown—making it a nice retreat from the noise after the party ends. Greek Revival homes highlight the neighborhood where window shoppers are treated to equal parts antique shops and contemporary design houses. Oh, and the area is as lush as its name implies. Uptown and the Garden District may host the Mardi Gras party. But, the most famous district in NOLA is the French Quarter. Many of the most popular hotels in New Orleans are within walking distance of the lively bars, award-winning restaurants, and live-music venues that dot the iconic balcony-lined streets. Let the aromatics of Cajun spices wash over your senses like the warm glow of candles flickering from the window of a fortune teller’s alcove. 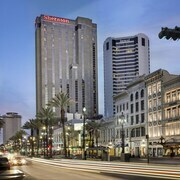 Astor Crowne Plaza New Orleans: Located at the corner of Canal and Bourbon Streets, the Crowne Plaza puts the pulse of the entire French Quarter at your doorstep. Spend an evening out at nearby Saenger Theatre and enjoy 24-hour room service no matter how late you return to the hotel. 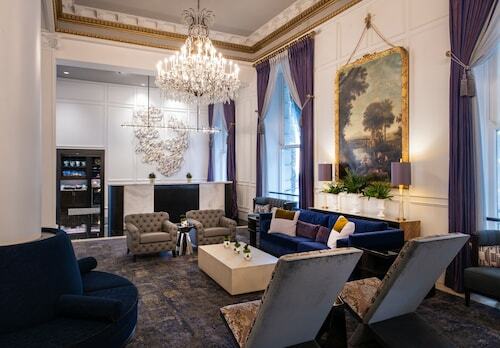 Bourbon Orleans Hotel: In the heart of the French Quarter, this vibrant hotel has balcony rooms overlooking Bourbon Street, but don’t be surprised if you spend just as much time admiring the plush interior with columns and chandeliers to spare. It’s just a block from the Preservation Hall Old Opera House and Jackson Square Park, so bring your opera glasses. 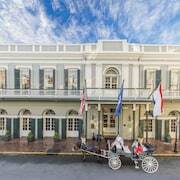 Omni Royal Orleans Hotel: Nestled right between Bourbon Street and the Mississippi River, this elegant establishment has been an upscale award winner for over 30 years, and it’s easily one of the more distinguished hotels in New Orleans. Standing tall on the corner of St. Louis and Royal Streets only adds to the luxurious luster, as do the horse-drawn carriages you’ll likely see out front. If you’re mixing work and leisure, consider New Orleans hotel deals that land you in the middle of bustling downtown at an easygoing rate. Le Pavillon Hotel: When you arrive outside Le Pavillion, you’ll be sure you’ve stepped back in time to the Parisian Belle Époque era. Many of the rooms include a gorgeous fireplace so you can stay cozy any time of year; add the 24-hour room service and you may never want to leave. But you’ve got to step out to see the beautiful outdoor spaces like Lafayette Square and Duncan Plaza. One of America’s most fascinating cities is waiting for you to come and experience its eclectic customs, cuisine, and culture. 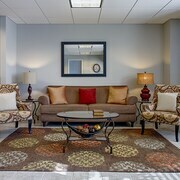 Book cheap hotels and motels in New Orleans with Travelocity to take advantage of our price-matching guarantee. From Lake Pontchartrain to the mighty Mississippi River, the Big Easy will be your oyster. Need insider tips on must-see attractions in New Orleans? Check out our New Orleans travel guide! The pool area was lovely but the pool could be cleaner. Room was great. Housekeeping was excellent. This hotel is on Decatur Street in the French Quarter about four blocks from Jackson Square and the French Market, so it is very convenient to most everything and even being in the middle of everything we did feel very safe there. The people were very nice and overall the rooms were very clean. The only reason I didn't rate it higher was because the building and grounds need a little attention. I realize the much of building was built in the 1830's, but overall it needs some repair and repainting. I wouldn't not stay here again, but I would probably try a different hotel next time. The location was great for walking the French Quarter, but it was still very quiet to sleep. Staff was happy and helpful at check-in. Dawn at the concierge was very helpful. Staff was very friendly and accomodating. Location is excellent. Rooms were spacious and clean. Pool is a nice feature.